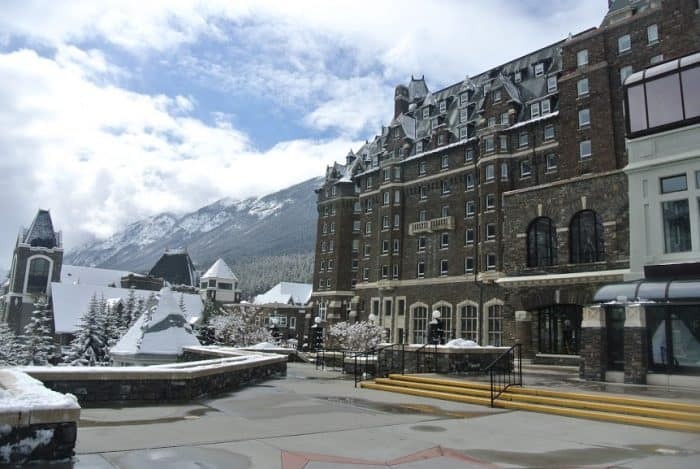 The Fairmont Banff Springs – the hotel creates an outdoor rink every year, which is adjacent to a hill that’s great for sledding. Banff Recreation Centre – The Rec Centre has an indoor rink with limited public skate times. You can skate on several lakes in the area, including Lake Louise, Vermilion Lakes, Johnson Lake, Two Jack Lake and Lake Minnewanka. If the conditions are right, the town will also clear an oval on the Bow River. 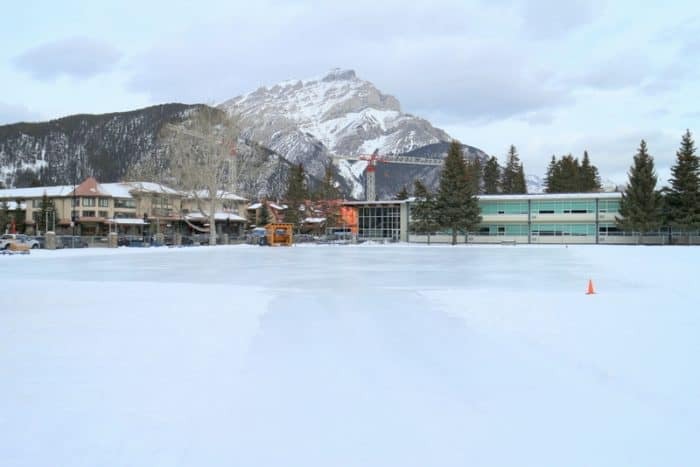 Before you head out, check out these safety tips for skating on natural ice surfaces from the town of Banff. 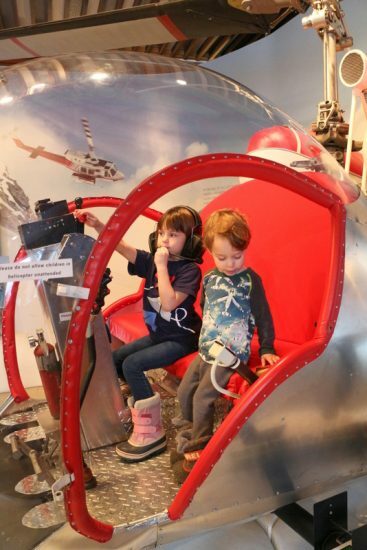 The Whyte Museum is focused on the history of the Rocky Mountains. They also host fine art, and interactive displays like an antique car and a helicopter. Western Canada’s oldest natural history museum houses a large, historic collection of animal and plant specimens from the Banff area. Come visit the origins of Canada’s National Parks. A little different than your traditional museum – in the past, you could go swimming at the Cave and Basin. Now you can only visit. 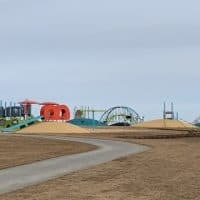 They have an interpretive centre, a lovely walking trail (Marsh Loop) and they host a Winter Carnival over the Winter. Cave and Basin Boardwalk and Marsh Loop Trailhead – You can find these trails at the Cave and Basin hot springs. Be sure to look at the fishes enjoying the warm water. You may also see Banff’s endangered snail. Cave and Basin Boardwalks are about 0.5km- suitable even for really little kids. Marsh Loop is 2.8km loop trail – 40 minutes. 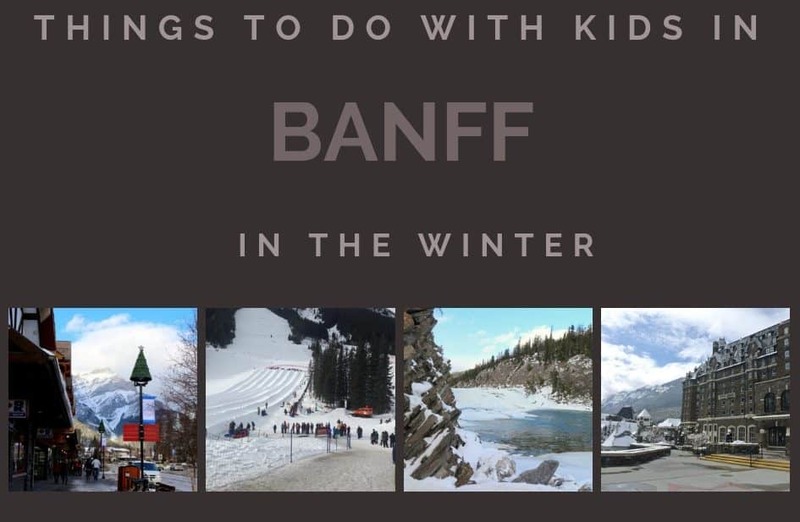 Water fun isn’t the first thing that comes to mind when you think of Banff (particularly in the Winter) but there are some Winter friendly options. 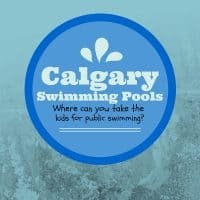 Sally Borden Fitness and Recreation – Located in the Banff Centre, this pool has public swim times (sometimes with toys! ), a warm wading pool, hot tub and a mountain view. 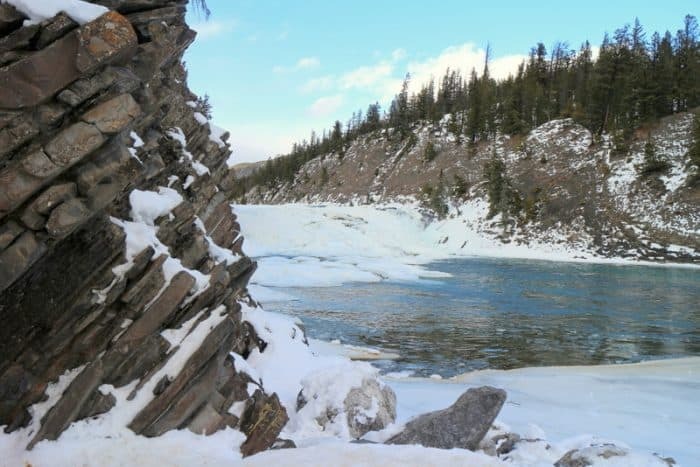 Banff Upper Hot Springs – Winter is a delightful time to swim in the hot springs. Douglas Fir Resort Waterpark – This hotel water park is open to the public and features two water slides, a kiddie pool and a hot tub. Take sledding to the next level with one of Banff’s Tube parks. These require admission, but you also don’t need to drag your tube back up the hill. 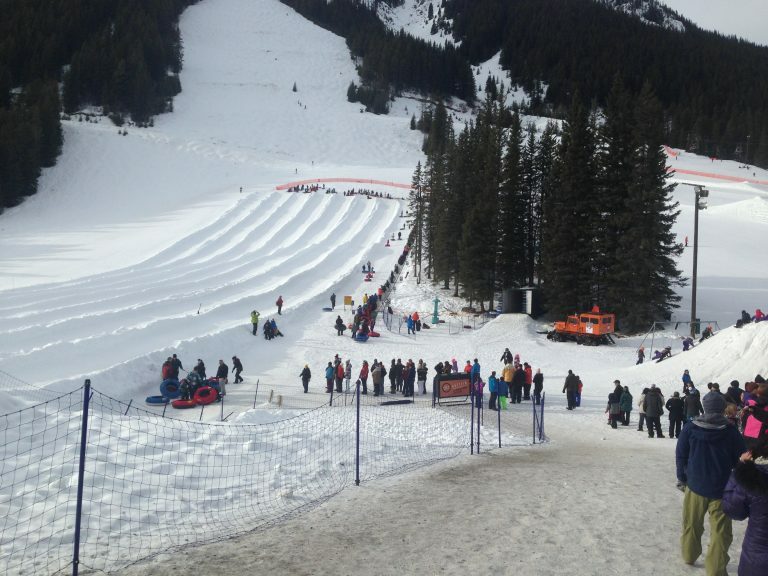 Mount Norquay – Tube Town Park. If sledding is more your style or budget, Banff has a couple of popular options. You can even rent sleds and toboggans in town if you didn’t bring your own. Spray Meadows Hill is located behind the Banff Springs Hotel and is a popular tobogganing hill. Along Minnewanka Lake Road, you can find Banff’s Cascade Ponds which has smaller and slower hills great for younger kids. Feel like you are in a Christmas Card while taking a sleigh ride in Banff. Rides last 45-60 minutes and start at Warner Stables. Banff has two different bowling options. 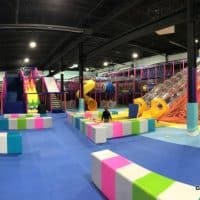 High Rollers – located on Banff Ave, is a Bowling Alley/Beer Hall but it is kid friendly until 10pm. The Canadian Bowling and Entertainment Centre is located at the Fairmont Banff Springs hotel. Much of the historic Fairmont Banff Springs Hotel is open to the public. The building is beautiful and really does make you feel like you are in a castle. They even have a self-guided tour. Travel up Banff’s Sulphur Mountain in the Banff gondola. 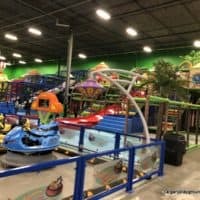 If you go before 12pm, kids are free with a paid adult admission. At the top you can also find an interpretive museum. Remember to dress warm as it can be cold and windy. See the ice sculptures in January at the Ice Magic Festival or skate on Lake Louise itself. Skating usually opens Mid-December. Skate rentals are available at the hotel. 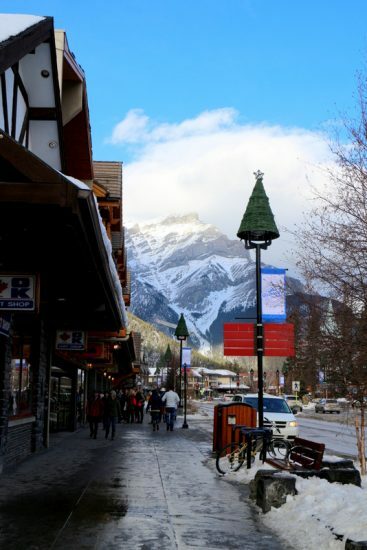 Downtown Banff has tons of cute gift shops and places to grab treats (more on those below). You can enjoy the view and pop into a store when you need to warm up. Don’t forget to walk across the pedestrian bridge at the end of Banff Avenue for some lovely photo ops. 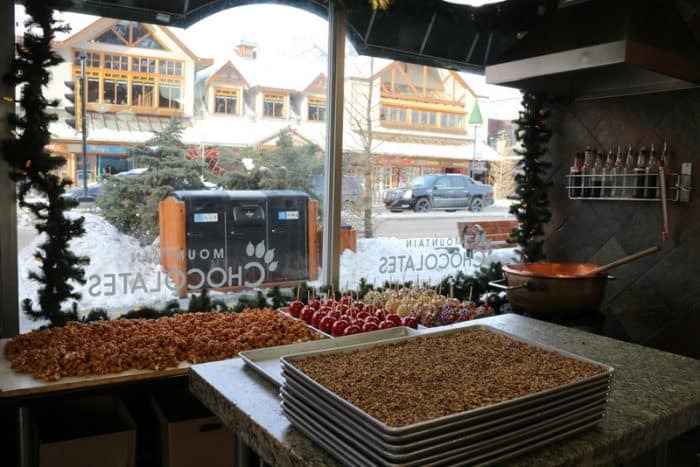 Downtown Banff’s shops are full of tempting treats. Beaver Tails – A beaver tail is a flat, oval-shaped pastry. You can get a wide range of toppings such as Nutella and cinnamon sugar. Evelyn’s Coffee Bar – if you are in need of a coffee Evelyn’s is a great stop. Check out their seasonal lattes and hot chocolates. The Fudgery – treats are made daily on-site, and the create special Christmas offerings in December such as, Candy Cane fudge, Pumpkin Spice fudge, and Christmas-themed chocolate lollipops. COWS Ice Cream – If you are looking for ice cream in Banff, this very punny Canadian Creamery will hit the spot. Banff Ave Brewing – Casual, kid friendly restaurant located upstairs in the clock tower mall. Wild Flour Bakery – Grab something to go or stop and have breakfast or lunch. The Old Spaghetti Factory – The chain restaurant is very kid friendly but still gives a nice sit-down experience. Melissa’s Misstake – Casual, family friendly steakhouse with a great children’s menu. Bear Street Tavern – You can find pizza, sandwiches and more at this family friendly restaurant. Pad Thai Restaurant – (located upstairs on Banff Ave) – Thai restaurant with good food and great with kids. The space is small so you may want to eat off peak times or call ahead.